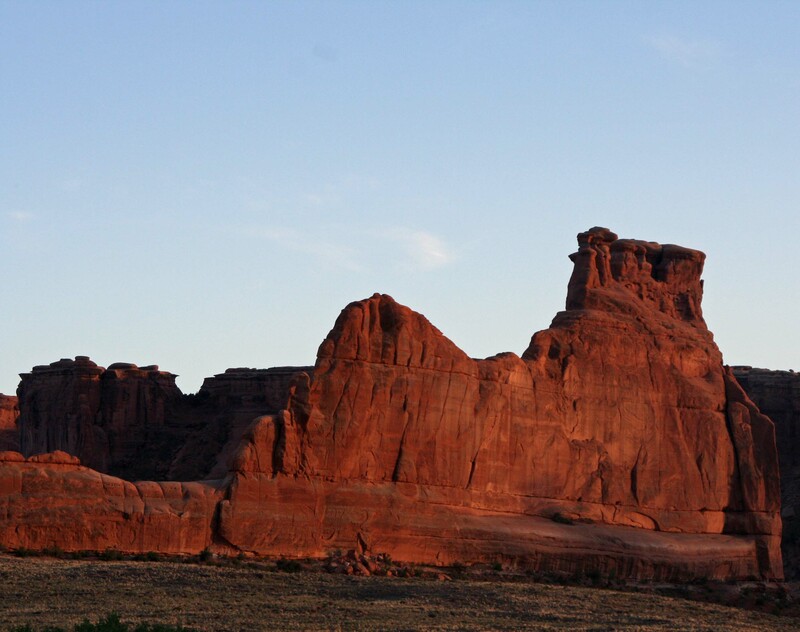 Arches National Park is known for its soaring arches carved from stone, but that is only the beginning of its beauty. 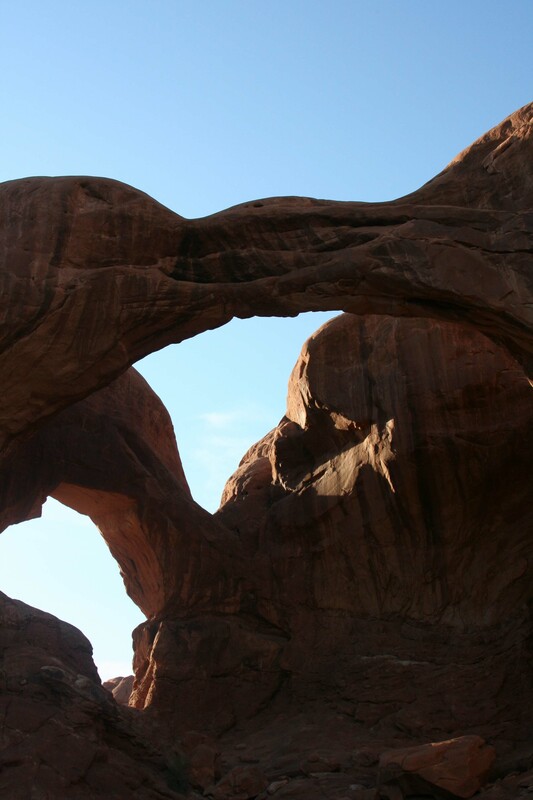 One of our goals over the past several years has been to visit all of America’s National Parks. We’ve been to all 50 states in pursuit of this objective. There are a couple in Alaska still on our “to do list.” Since Peggy and I are presently wandering in Mexico, I’ve recruited some of our favorite National Park photos to fill in while we are gone. Enjoy. 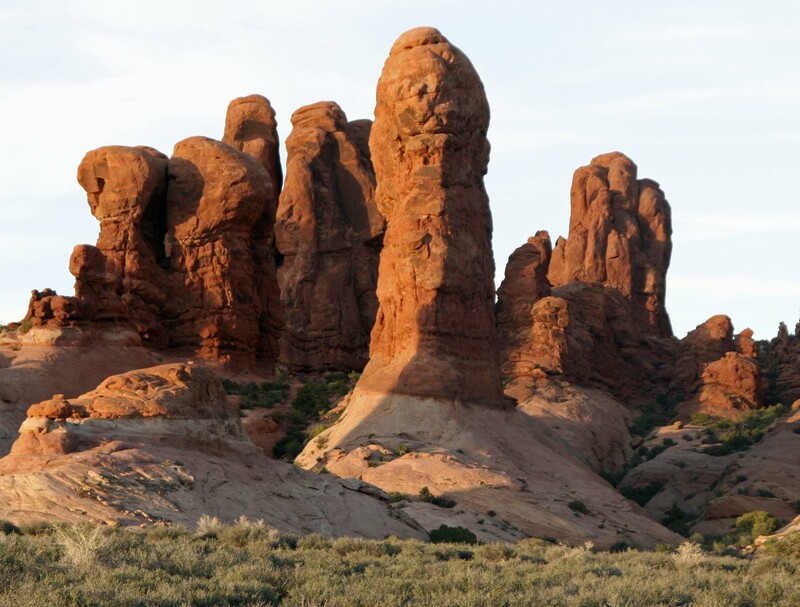 Arches National Park is located in eastern Utah. 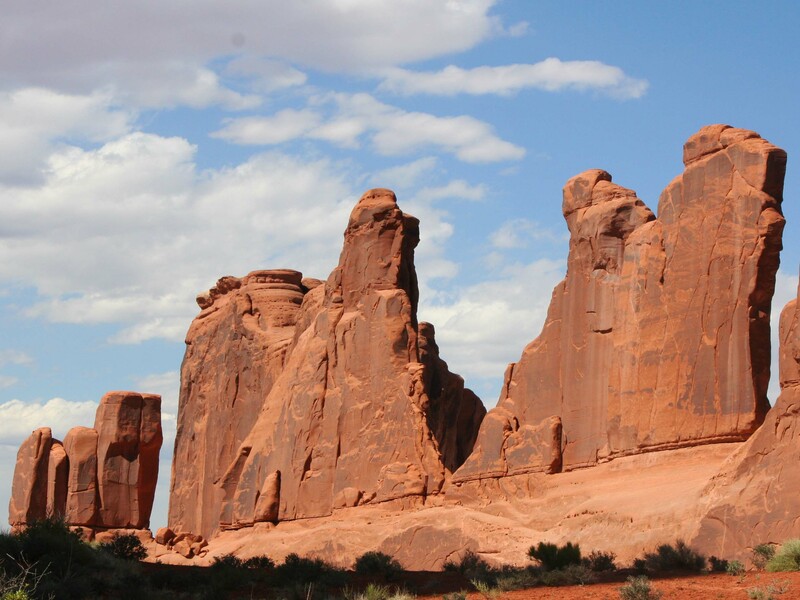 While the towering rock arches are indeed striking, other rock sculptures are equally, if not more, impressive. 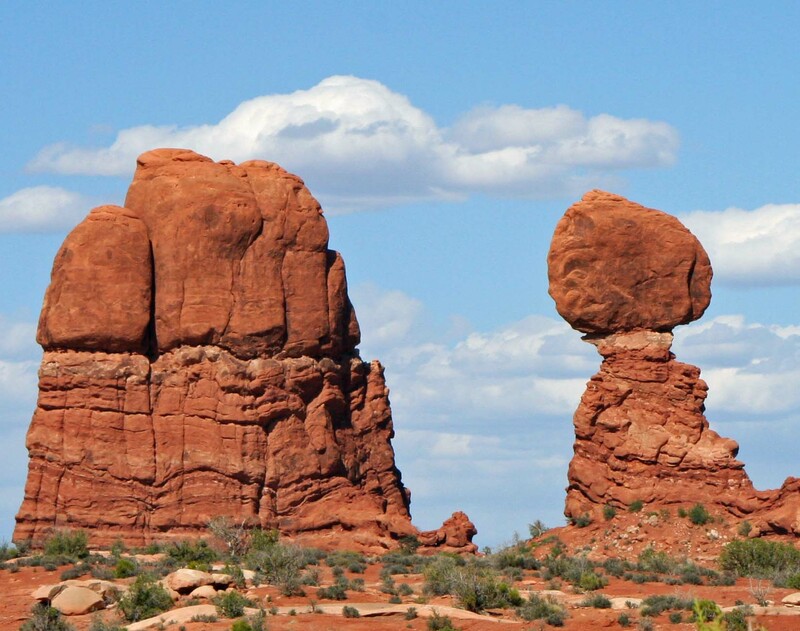 These stone sculptures stand like sentinels. With dark rapidly approaching, only shadowy outlines could be seen. I am thinking the Three Wise Men. 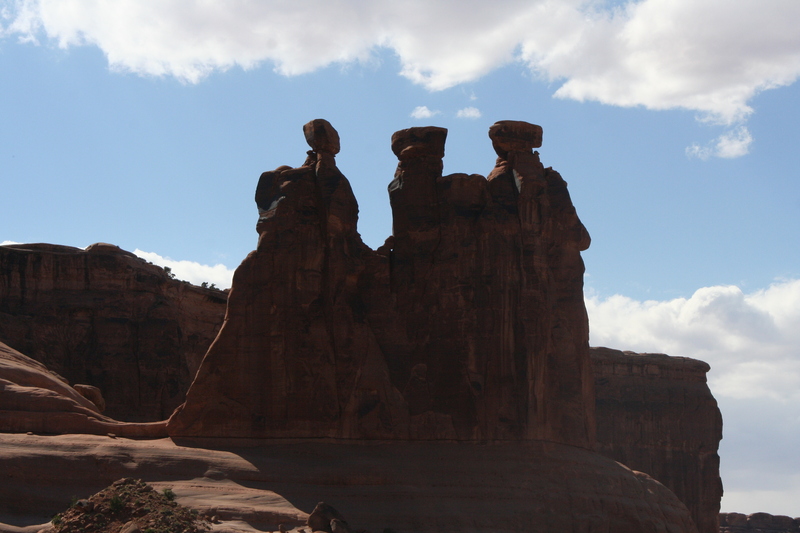 I thought of this collection of rock sculptures as a family… Mom and the kids. This collection shows different sedimentary rocks laid down in ancient times. 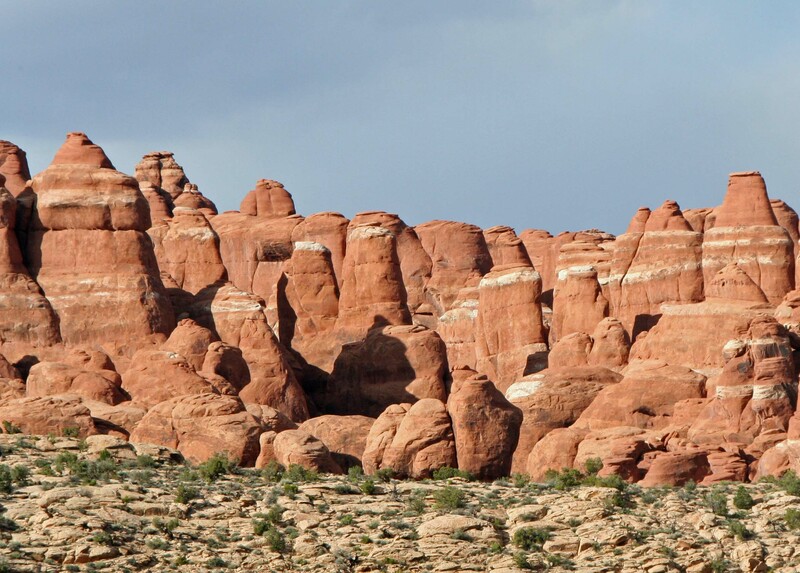 Another photo that captures sedimentary layers and shows the impact of weather on various rocks. 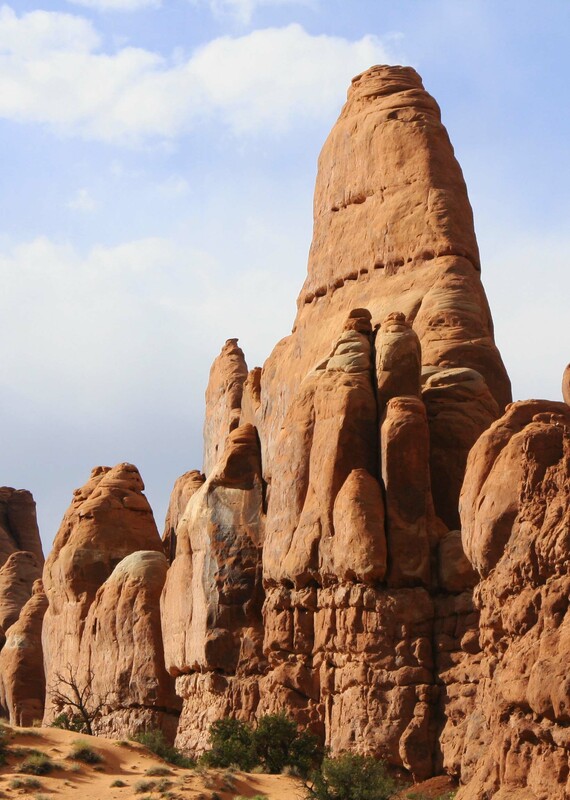 Different rocks erode at different speeds, thus creating the wonderful sculptures seen throughout the Southwest.. Caught in the evening sun. 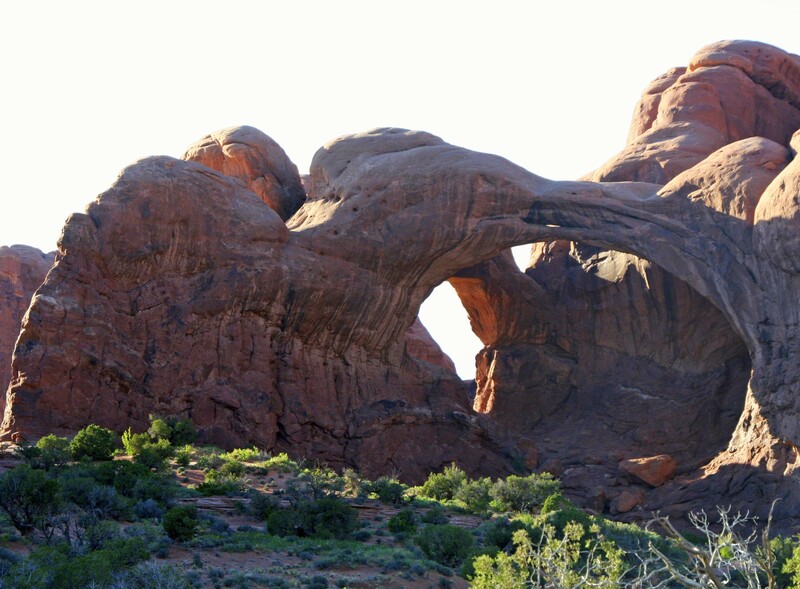 Naturally, any photo essay on Arches National Park has to include some arches. 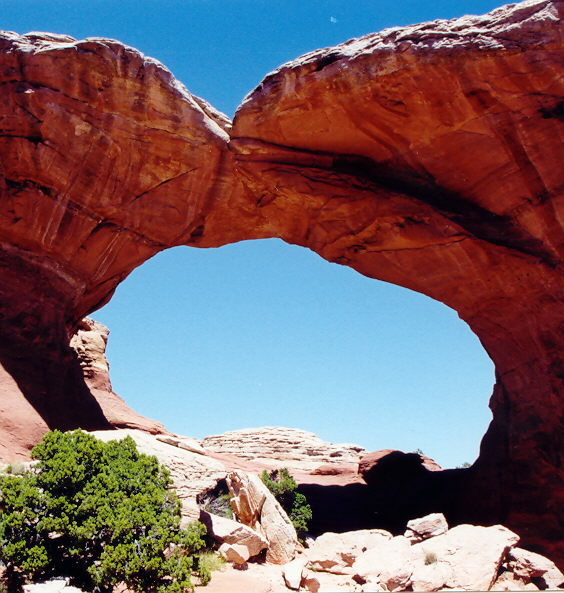 The same arch caught 30 minutes later. 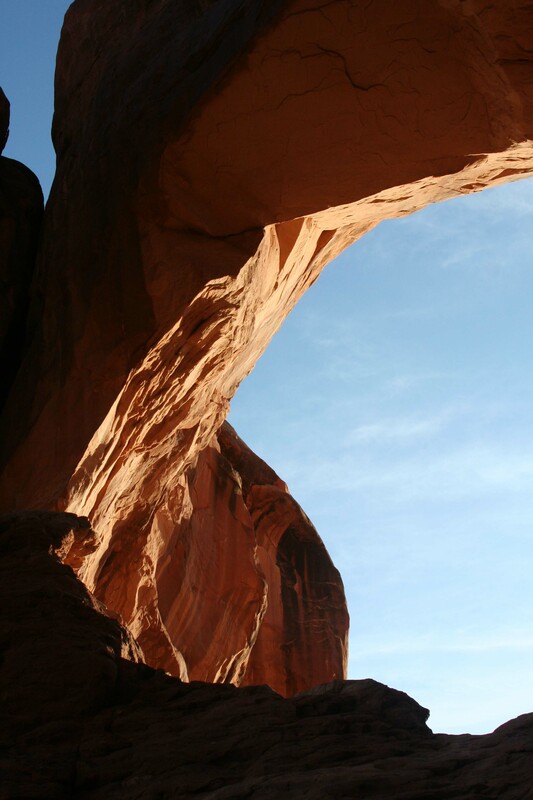 Looking up from under the arch. I knew the rock was solid but still felt nervous. 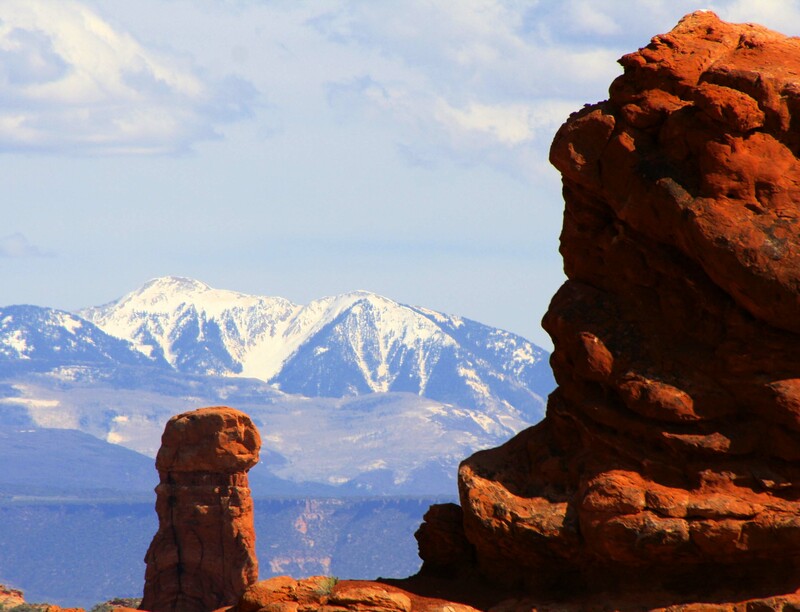 NEXT BLOG: We will head west to Yosemite National Park.